Dripping nail art tutorial | Memorable Days : Beauty Blog - Korean Beauty, European, American Product Reviews. Today I would like to show you this dripping nail art tutorial. It's extremely easy and everybody can do it. It's probably my easiest tutorial. I only used 4 nail polishes (including base and top coat) for this tutorial and no tools. This nail art makes me think of the Monster energy drink... XD probably because of the black and green colors. I used a black nail polish from Dear' Lee and a green nail polish from Barry M which is called Mint green. Step 3: Apply the green nail polish on the tips of your nails, make a dripping effect. As you can see in the picture I applied a thick coat. Therefore it will take a bit longer to dry. However you can also just apply a thin coat if you want to. Step 4: When everything is dry, apply a top coat. Thanks! 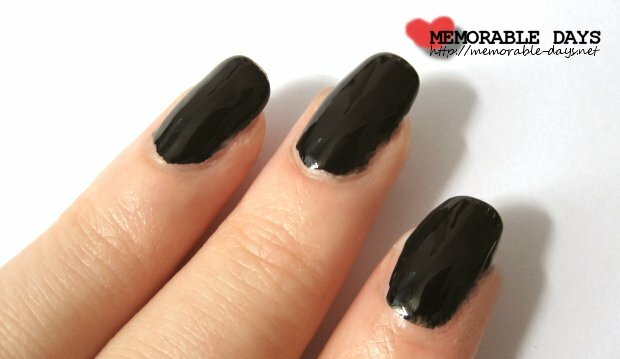 I reeaally like ur blog ^^ hmmh might even try this nail design today! You always have the cutest nails! This reminds me of chocolate mint ice cream. haha *yum! This looks so cool, I love it!